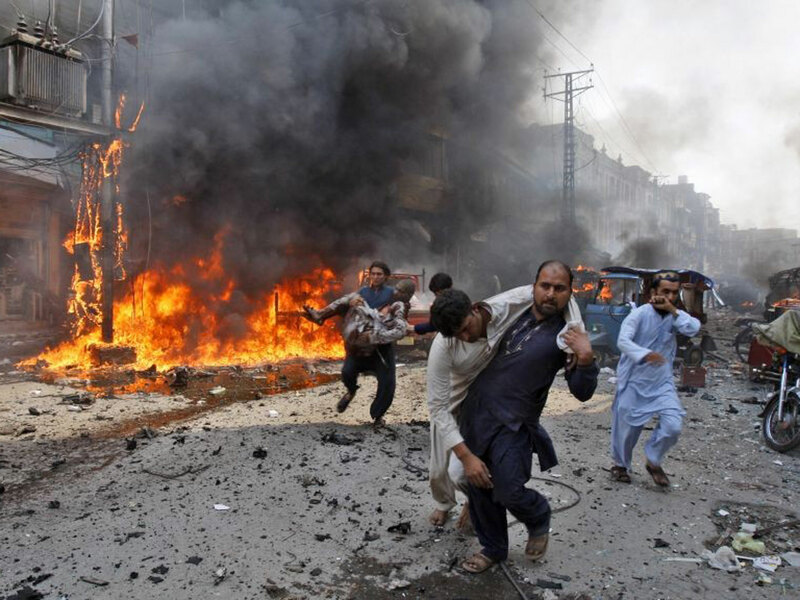 As many as 230 people lost their lives and 417 others injured in 22 reported terrorist attacks in Pakistan in the election month of July. Out of the total 22 reported terrorist attacks as many as 13 targeted political leaders and were election-related targets, the Pakistan Institute for Peace Studies’ (PIPS) monthly security review of Pakistan revealed. According to the report, these terrorist attacks included four suicide blasts including the one that killed over 150 people in Mastung alone. Balochistan Awami Party (BAP) candidate for a Provincial Assembly Nawabzada Siraj Raisani was also a victim of the Mastung blast. Two other suicide blasts targeted political leaders in Peshawar and DI Khan killing Awami National Party (ANP) and Pakistan Tehreek-e-Insaf (PTI) election candidates Haroon Bilour and Ikramullah Gandapur, respectively, among others. Moreover, another suicide attack targeted security forces in Quetta. Among the total 230 killed in the terrorist attacks, 211 were civilians, 15 personnel of security and law enforcement agencies, and four militants; those injured included 398 civilians and 19 security personnel. The Islamic State group, also known as ISIS, and the Tehreek-e-Taliban Pakistan (TTP) claimed responsibility for this wave of terrorism in July. As many as 12 terrorist attacks took place in six districts of Khyber Pakhtunkhwa (K-P) in July 2018 while eight terrorist attacks were reported from Balochistan in July 2018. Most of the casualties (183 dead; 255 injured) were caused by two lethal suicide bombings by ISIS, which targeted political gatherings and security forces, respectively, in Mastung and Quetta. The Sindhu Desh Liberation Army (SDLA), a Sindhi nationalist insurgent group, perpetrated at least two attacks in interior Sindh, injuring four people in total. Political leaders and workers were also targeted in these attacks. However, no terrorist attack took place in Punjab, Gilgit-Baltistan, Azad Jammu Kashmir and the federal capital, Islamabad. Moreover, as many as 15 incidents of political violence or armed clashes between supporters and workers of different political parties were recorded in July 2018. These incidents claimed two lives and injured 38 others. Nonetheless, the number of cross-border attacks plunged in July 2018, for the third month in a row. Compared to nine in June, a total of two such attacks happened in July, one each from Afghanistan and India. Two people were killed and another three injured in these attacks. Security agencies conducted 2 anti-militant operations, both in Balochistan, in July 2018 killing 5 militants. A single armed clash or encounter between security forces and militants was recorded during the month under review, which killed one militant in Bannu. On the whole, 42 incidents of violence of different types took place in Pakistan in July 2018, claiming the lives of 240 people and injuring 458 others.